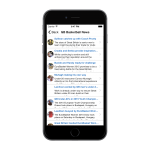 Get direct access to the latest news surrounding the 2012 Basketball Games held in London this summer. Follow and support the host Team GB and other great countries. 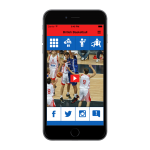 The 2012 Basketball App is an extension of the website portal Basketball in England and we prides ourselves, on daily updates surrounding basketball throughout England and the UK. Leading up to the London 2012 Olympics, we have followed and cover Championships, European Qualifiers and World Championships Games in Turkey. The purpose of the app is to give you up to date news for the 2012 Basketball Games in London.